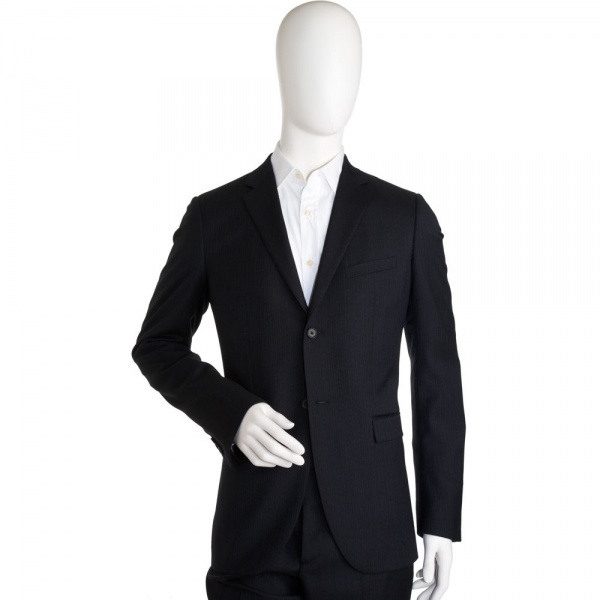 Jil Sander offers us a smart suiting choice for the season with this Milly Milton two-piece suit. A classic notch lapel, two button design is made in Italy of a rich charcoal wool, decorated with the faintest of forest green stripes. The result is a warm looking suit, appropriate for the season, and understated enough for the office. Available online now. This entry was posted in Suits and tagged Italy, Jil Sander, Milly Milton, Suit. Bookmark the permalink.